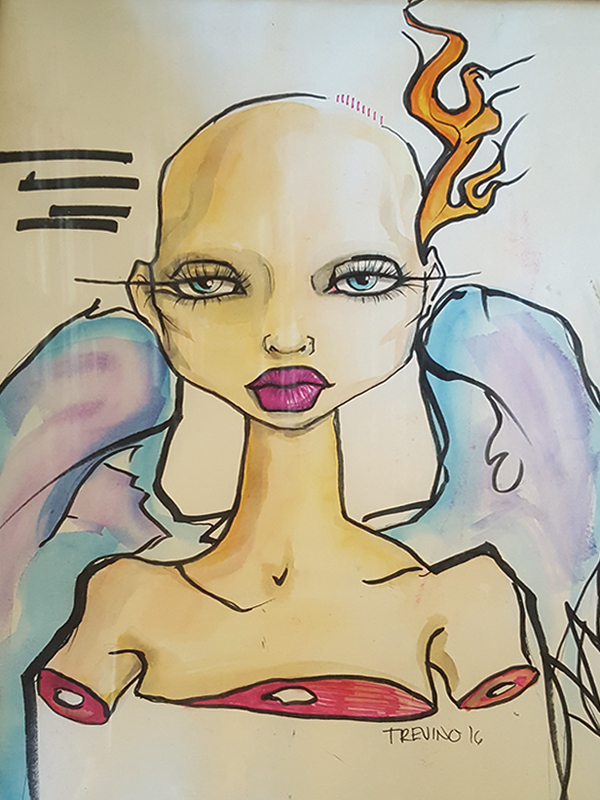 This untitled piece by Jamie Lee Trevino will be featured in "Deviant"
Events on this busy weekend include a comic-book convention, a celebration of cowpokes, a pair of art shows, a drag queen-accented fundraiser and more. 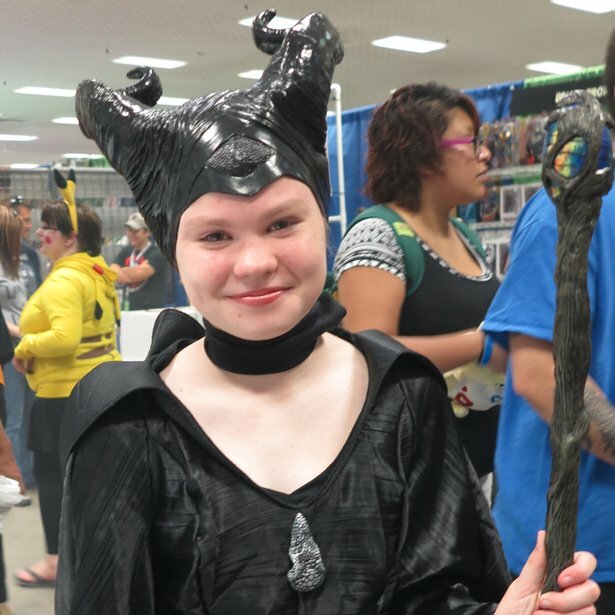 A 2015 Ama-Con attendee cosplays as Maleficient. This year's con is Saturday and Sunday. Thousands of geeks and geek-adjacent are expected to flock to the Amarillo Civic Center Complex on Saturday and Sunday for the fifth-annual Ama-Con. Highlights will include appearances by Steve Blum, who voiced Spike Spiegel on Cowboy Bebop and Wolverine in various cartoons, among hundreds of other credits; Theo Nicole Lorenz, creator of Unicorns Are Jerks and other adult coloring books; Joe Shine, author of I Become Shadow; J.W. Kinsey, finalist on GSN's Steampunk'd; A.G. Howard, author of the Splintered series; Shanna Peeples, 2015 National Teacher of the Year; and Mark Oshiro, creator of Mark Reads and Mark Does Stuff. Plus, kids, comics, gaming, anime, sci-fi and steampunk cosplay contests will be held, as will several gaming tournaments. A Geek Prom is set for 7 to 10 p.m. Saturday, and a screening room will feature anime movies on Saturday and geek-culture documentaries and children's shows from Panhandle PBS on Sunday. This untitled piece by Jamie Lee Trevino will hang in "Deviant" at Process Art House. 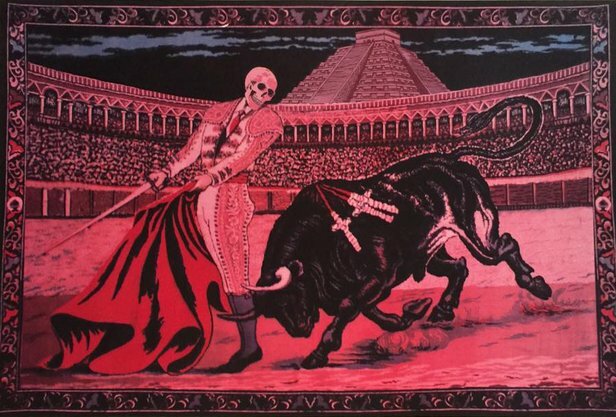 Amarillo artist Jamie Lee Trevino will explore the aberrant in a new show opening Friday at Process Art House, 700 S. Van Buren St.
"Deviant is a very challenging show dealing with subject matter that is often taboo," gallery co-owner Jacob Breeden said. "We decided to include this show in our calendar due to the way Jamie treats these often complex subjects in his work. On the surface the characters in drawings and paintings appear innocent, illustrated in a strong children's book style. Upon closer inspection you realize that you are following a narrative that holds very little back from the viewer. The openness and honesty of this work adds that final layer needed to make a strong exhibition." Deviant will open with a 7 p.m. Friday reception and will be on view through Aug. 12 by appointment only. Call 806-731-1841 or visit www.processarthouse.com. "Hellcab" stars Kyle Gipson and Kayla Fuller. 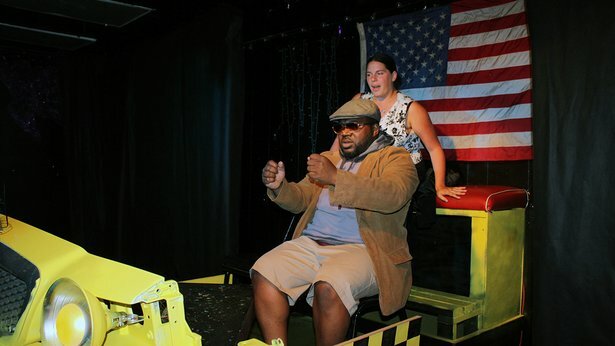 Performances continue at R&R Backroom, 701 S. Georgia St., for this provocative drama about a cab driver's rounds on Christmas Eve. Over the course of the night, the nameless driver picks up stoners and hookers, businessmen and nuts. National Day of the Cowboy celebrations are Saturday. Cowboys and cowgirls will be celebrated Saturday during free National Day of the Cowboy festivities. Amarillo activities will take place from 9 a.m. to 2 p.m. Saturday at the American Quarter Horse Hall of Fame & Museum, 2601 E. Interstate 40. Children can ride a quarter horse between 11 a.m. and 2 p.m.; sign-up begins at 10 a.m. The event also will feature barrel racing, crafts, storytelling and more. Click here for a full schedule. A Saturday evening garden party and miniature drag show will raise funds for Panhandle AIDS Support Organization. Friends of PASO runs from 7 to 10 p.m. at the home of Wrus and Debbie Weston, 2116 S. Van Buren St.
PASO, which provides free services to people who are HIV positive or living with AIDS in the Texas Panhandle, will honor the late Leigh Browning, a former board member and advocate who died in 2015. The event also will feature a preview of the organization's Turnabout fundraiser, an annual drag show that this year will feature a Grammy Awards theme. Art by Rick Rueda will hang through around Aug. 8 at Urbana Coffee Works. 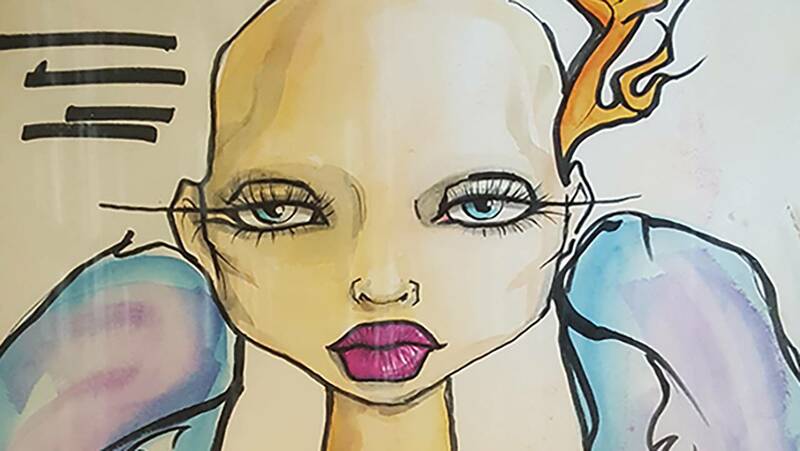 Artist Rick Rueda celebrate the opening​ of an art show at Urbana Coffee Works, 5215 S. Coulter St., with a 5 to 9 p.m. reception today. The show will be on view through the week of Aug. 8. ... Amarillo Community Market will be open from 10 a.m. to 2 p.m. Saturday on and around the grounds of the Amarillo Chamber of Commerce at the historic Bivins Building, 1000 S. Polk St. DJ Rupert the Duke will spin tunes, and — in celebration of National Picnic Month — attendees are encouraged to bring a basket lunch to enjoy. ... The Alzheimer's Fundraiser Car Show will open at 8 a.m. Saturday at Brookdale Medi-Park West, 7404 Wallace Blvd. 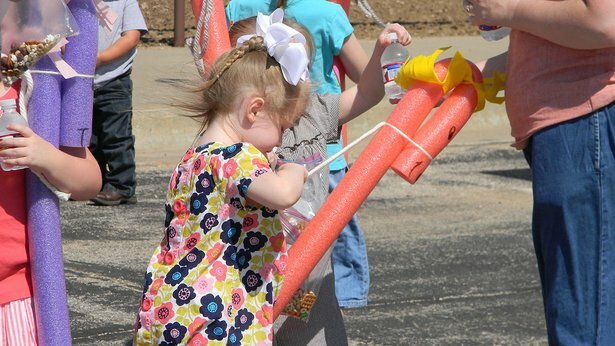 Hamburgers and hot dogs will be on sale, and vendors, a dunk tank and more will be on site. ... Performances of Texas continue at 8:30 p.m. Tuesdays through Sundays in Palo Duro Canyon State Park. Visit www.texas-show.com. … Song of the Eagle performances conclude with a 7 p.m. Saturday show at Kwahadi Museum of the American Indian, 9151 E. Interstate 40. Tickets are $9 for adults, $7 for seniors and $5 for students; meals are $12 each. Call 806-335-3175. ... Outdoor activities include regular hours at Amarillo Zoo, Wonderland Park and Sports World, as well as at parks across town.